Restoring salvage cars can be an exciting and rewarding adventure or business for those with the know-how, tools, and space to do the work. AutoBidMaster provides a range of salvage cars on auction presenting countless opportunities to buy your dream car at an affordable price. The wrecked cars for sale we list, however, require repairs before they can hit the road. It is, therefore, important for you to know what lies ahead, if you are planning to put your money in one of the wrecked cars for sale. 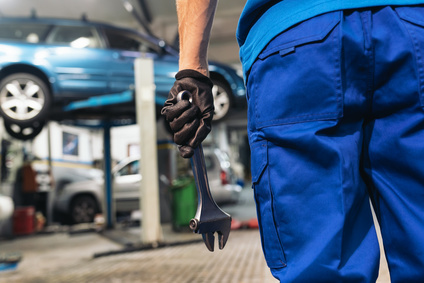 So, to clear the smokescreen, we give you some handy tips to help restore a damaged repairable car and get it on the road. The first and most important part is to set a budget. This naturally covers the cost of buying the car and the restoration budget. This means that you have to know the damage suffered by the car and also factor-in any upgrades you may wish to effect on your new vehicle. Shop around for prices of the various parts that you need, as well as any relevant services. During the restoration process, it is essential to install some oem parts preferably brand new. This helps you make sure that your car serves you for long, efficiently and free from major issues. You will also find it easy to insure salvage cars if you instal new oem parts that prove to insurers that the safety of the car has been improved. Keep track of your progress throughout the restoration of your damaged repairable car. Your records must include any receipts, documentation, and notes relating to the original purchase, parts bought, and services acquired. One of the benefits of keeping such records is that it helps you prove ownership and the fact that you followed every step of the restoration of salvage cars. Always go for expert help in every step of the way if you do not possess the relevant knowledge or experience. Get a mechanic to help you assess the wrecked car for sale before purchase and throughout the restoration process. You can also discuss your requirements with salve car auction experts at AutoBidMaster for tips on the best car to meet your needs. Browse through available salvage cars and register to start bidding on the one that you wish to own. Call us today for more information or answers to all your questions at +1 (503) 298 4300 or fill out our contact form.